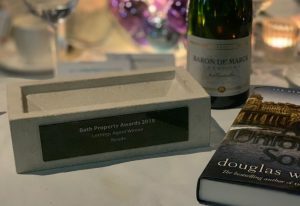 Three hundred eager property professionals descended on the Apex Hotel for the inaugural awards hosted by MediaClash, proprietors of the prestigious Bath and Bristol Life Awards. Collecting the best lettings agent award from Homes under the Hammer’s Martin Roberts, Managing Director Ben Bower paid tribute to the Reside team’s tireless work and commitment. Toby runs the 'engine room' at Reside, making sure that properties are perfectly-presented and that they are let quickly at a good rent. When not working, Toby is happiest when enjoying a day's cricket.